Mr Choc has been DJ'ing since the age of 15. Self taught and now with 31 years of experience, the goal has always been to be the most well rounded DJ he could be. With 24 years of commercial radio, DJ'ing for artists on tour, countless club sets around the world, not to mention also being a Professional DJ instructor for the last 11 years, the goal has been accomplished. Now the "Dean" at the Beat Junkie Institute Of Sound, he looks forward to teaching and sharing his experience and knowledge with eager students. Teaching: Foundation Levels 1-9, Creative Mixing, Scratch Training, Beat Juggling, Djing for kids STRUCTURE, & Private Instruction. Whether it's making mix tapes, DJ'ing on commercial radio, winning world DJ championships, producing in the studio, or touring the world performing for thousands, DJ Babu has been setting the bar for modern DJ's since the mid 90's. His signature beat juggling routines and head nodding scratch styles have continued to influence generations of DJ's from all over the globe. The "Turntablist" continues to produce music and perform all over the world, and now adds the title of instructor to his repertoire. Join the Beat Junkie Institute Of Sound for an opportunity to train with the "Dilated Junky". Teaching: Foundation Levels 1-9, Scratch Training, Beat Juggling, Workshops, STRUCTURE, Djing for kids & Private Instruction. J.Rocc's love of music started when his parents started buying him records at a very young age. DJ'ing since the late 80's, J.Rocc is credited with founding the Beat Junkies in 1992 and has gone on to be known as one of the most creative and inventive DJ's in the world. J.Rocc's uncanny ability to rock any party with any genre of music, combined with his funky yet technical approach, is the backbone of the "Beat Junkie Style" of Mixing and has made him a favorite amongst music lover's worldwide. With an infinite knowledge of records and a resume that reads like that of a DJ legend, "The Funky President" continues to bring his love of music and DJ'ing to the world and now he brings it you as an instructor at the Beat Junkie Institute Of Sound. Teaching: TRICK MIXING & specialized workshops. D-Styles is one of the names most associated with innovative turntable scratching. 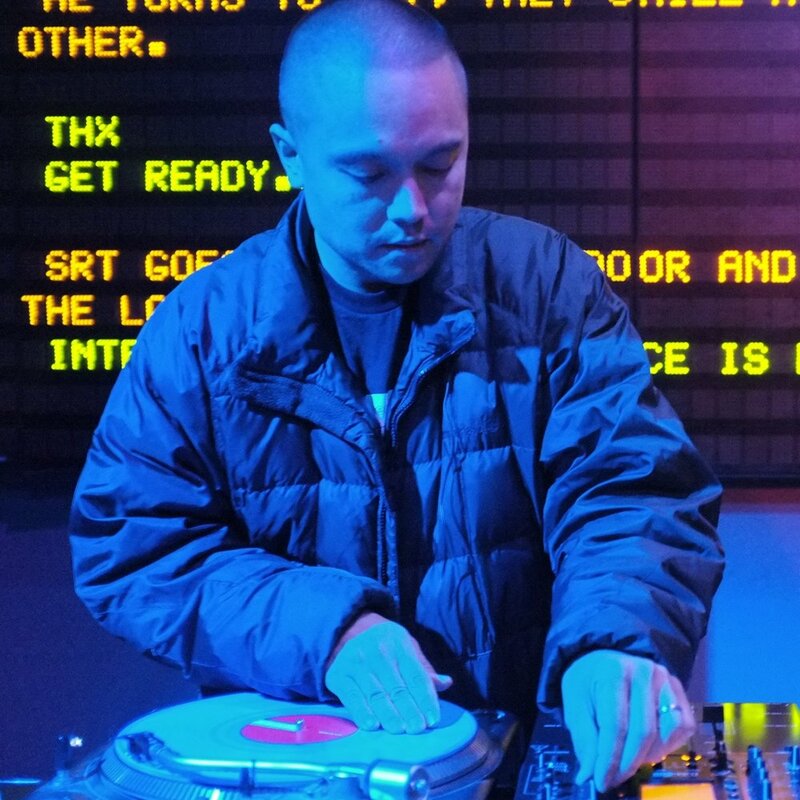 Thanks to the popularity of the Internet and the explosion of scratch videos, D-Styles is influencing turntablists and scratch artists around the world. His approach differs from the highly technical, yet repetitive scratching that currently dominates the scene, in that it emphasizes musical composition and style. Teaching: Scratching Training, Scratch Workshops & Private Instruction. With 20 + years of professional DJ'ing to his name, including 12 years of prime-time mix show at LA’s top radio stations, multiple World Championship DJ competition titles, and DJ performances at the nation's most renowned nightclubs and music festivals - DJ Melo-D has a wealth of experience when it comes to the art of DJ'ing. He is regarded as one of the most well-rounded DJs in the industry, and is proficient at the full scope of the DJ spectrum. Truly dedicated to the art form and it's surrounding music culture, DJ Melo-D continues to showcase various styles of dj sets all over the map. Teaching: Foundation, Scratch Training, Creative MixinG, Beat Juggling, & specialized workshops. DJ Rhettmatic has done it all: DJ'ing & producing for recording artists, a world champion battle DJ, mixing on commercial radio, performing with musicians, & DJ'ing in nightclubs around the world, Rhettmatic continues to be one of the most respected DJ's in the world. As an instructor, Rhettmatic looks to share his over 30 years knowledge & experience with Students and Members of the Beat Junkie Institute Of Sound. Teaching: Foundation, Special Workshops, & Private Instruction. At any given moment, you can find her armed with cameras and a smile. Maricel Sison is an eclectic photographer from Los Angeles with a cool aesthetic deeply rooted in hip hop. AFTER MANY YEARS OF SHOOTING IN LA's UNDERGROUND MUSIC SCENE, SHE HAS EMERGED AS A KEY PLAYER WORKING BEHIND THE SCENES AT THE BEAT JUNKIE INSTITUTE OF SOUND. FROM CONTENT CREATING, OPERATIONS, SALES, and so much more, maricel is a driving force on the team and leading the way for the ladies here at BJIOS. C-LOS EMERGED IN THE 90'S WORKING AT THE ICONIC ARONS RECORDS. THROUGH HIS JOURNEY, HE MADE HIS WAY TO FAT BEATS, AND LATER ON OPENING AND CO-FOUNDING STACKS VINYL IN CERRITOS, CA. WITH 25 + YEARS OF DJING UNDER HIS BELT AND RETAIL RECORD STORE EXPERIENCE, C-LOS BRINGS HIS TOUCH TO BJIOS. DJ Dynamix is a 3-time Red Bull Thre3style Champion, a finalist on VH1's Master of the Mix, and a brand ambassador for the World Famous Beat Junkies. He has been featured on Sean Comb's network RevoltTV, Power 106's Jump Off Mix, and was hand picked by Samantha Ronson to DJ Nicole Richie & Joel Madden's wedding, as well as Cover Girl's 50th Anniversary and Roc Nation's Grammy Brunch. His skill set and knack for rocking dance floors has gotten him rotating residencies at top nightclubs across the US, Montreal, and Singapore. When he's not traveling to different cities and rocking crowds all over the world, Dynamix can be found teaching both aspiring and established DJs to further their craft.